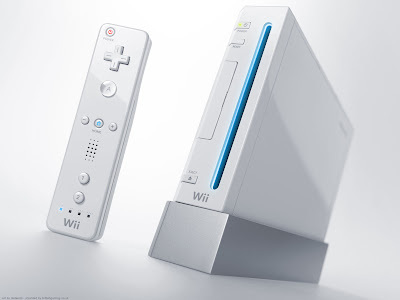 Functionality for Nintendo’s Hit ConsoleLOS ANGELES--(BUSINESS WIRE)--GameSpy, a unit of Fox Interactive Media, announced today that it will provide multiplayer technology to game publishers developing titles for Nintendo’s Wii™ video game system. As part of an ongoing partnership with Nintendo, GameSpy has developed middleware technology to enable Wii titles to offer community features, such as friend rosters, advanced matchmaking capabilities and comprehensive rankings data. “This partnership will expand our wireless community of players on Nintendo® Wi-Fi Connection,” said Nintendo of America President Reggie Fils-Aime. “Millions of Nintendo DS users have already logged on using GameSpy’s technology, and now Wii owners will be able to do the same in a fun and easy-to-use environment.”“Nintendo has been an invaluable partner and we look forward to expanding our relationship with them in the future,” said Jamie Berger, Senior Vice President of Consumer Products and Technology for IGN Entertainment. “Our goal is to extend our ground-breaking work on the Nintendo DS to provide Wii users with the social, community and multiplayer tools that we believe will expand the online gaming experience to the mass market.”Pokémon® Battle Revolution, the first Wii game to utilize the technology, launches on June 25, with multiplayer features similar to those leveraging GameSpy technology in several Nintendo DS titles. Prior to this development agreement for Wii, GameSpy and Nintendo brought gamers wireless community options for Nintendo DS™. The service provided an innovative network for portable video games, allowing people around the world to link easily and wirelessly to play games. The partnership represented GameSpy’s first foray into portable games." They talk about comunity a lot in that press release, could that mean that the Wii online service is going to be more in-depth than the DS?